Darkness and Flame: Born of Fire is rated 4.3 out of 5 by 26. 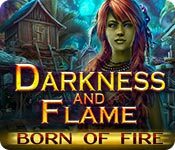 Rated 5 out of 5 by KBatman from Review of Darkness and Flame: Born of Fire The graphics are clear and seemingly real. =) The animation is excellent and entertaining and not too long. Just enough to get you back to the game. The biggest challenge I had was following the clues. Not much lead in to let you know what area to view... a guessing game. Even with that, I enjoyed the game and will enjoy playing it again. 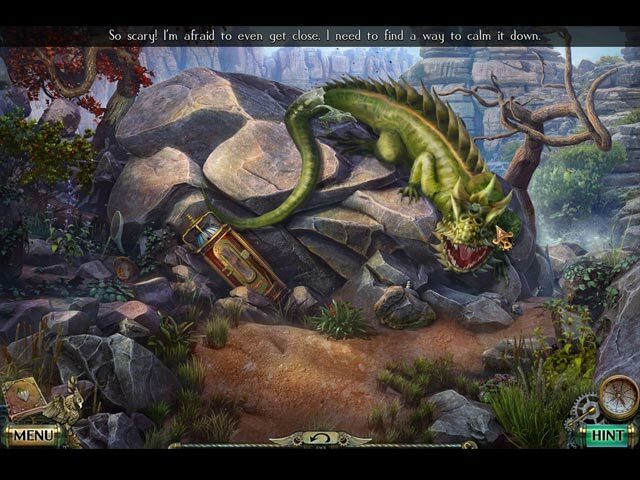 Rated 5 out of 5 by coffeyfan77 from Fantastic Game I found Born of Fire to be a great game from the beginning. The initial graphics were stellar, a true step above what you're generally used to in the genre. The story grips you from the very start and turns the entire game into a story that is both fantastic and makes sense at the same time. And the ending has a bit of a twist that you won't see coming which perfectly sets up the next one. Really well done and a treat to play. Your character picks up a strange box which contains some form of a phoenix. The phoenix changes her hair, gives her a cool tattoo, and has mystical properties that nobody in her village can really understand. The mystery of what it is and it's importance in the upcoming conflict is central to the story. 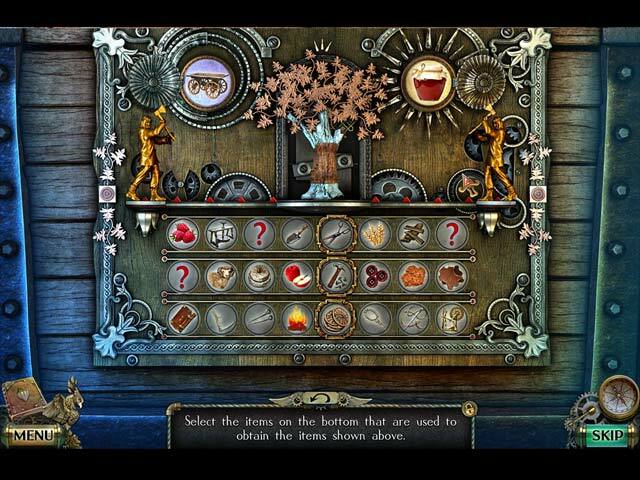 Along the way, you'll play the variation on standard hidden object games where you gather items from the scene and use them in the same scene to reveal the item you need. They are generally well done and look really good. The characters are voiced well and while there are only a couple of them they have a good depth to them which I appreciated. I really don't have many negatives to report about this game except the backtracking is extensive and a bit silly during a "timed" mission. Very good and well worth a play. Rated 5 out of 5 by __LJ__ from A New Favorite! I was very pleasantly surprised at how much I enjoyed this game. I didn't want to stop playing it. Pros: Great graphics Story line easy to follow and not too convoluted Puzzles not ridiculously easy as some, but not too hard Hops were the type where you find an item to use to get the next. Cons: The main character's voice was a little annoying to me The very last scene at the end gave me chills and made me say, "oh $#*%! Rated 5 out of 5 by boatgirl4347 from 5000 bn!!!!!!!!! I own both collect eds I had missing memories on for a while before I went back to finish (why?) DUH!! THE MOST AMAZING GAME SO FAR THIS YEAR!!!! I love alice love her VOICE!!! love colin 5BN you have given us I hope the start of the most amazing series my heart is beating so fast thinking of turning on my comp one morn and seeing THREE orange feathers on the tomorrow square!!!! you have equaled bootlats dreampath and my FAVE DOMINI!!! GENIUS will not be stopped!!! love you guys!!!! Rated 5 out of 5 by MetLaugh from I enjoyed it, dadgum it! I just Beta tested the next chapter of this game (which I adored) and came back to get the standard version of the predecessor. I played it awhile earlier this week. Then I lost 2 hours to it tonight. As an intermediate player, I am not easily fooled and recently got fed up with the silliness of another game I'd gotten with Game Chips. It was a title I'd had before and enjoyed. This one not only kept me interested because it is different from the usual - somewhat - I just upgraded to Collector's Edition using the Easter Weekend 2/1 sale. One of my other Beta Test games has already come to fruition so I got both. Maybe I'm a sucker for a young female hero, maybe it's something about the flow of the game. But you should at least demo this one if you like this type of thing. Rated 5 out of 5 by smilingsun72 from Powerful things come in little packages! Completed CE: Where to begin? I played from start to finish because it was fantastic! The story held my attention all the way thru the game and the bonus chapter. The graphics are excellent. The voice acting is very well done. The puzzle are a variety of different kinds. The cut scenes are placed perfectly. And the music score is fabulous. One last thing, when I found out what the Forbidden City was...it blew my away! Since, I don't want to give any else away I'll leave my comments the above paragraph and HIGHLY RECOMMEND this game to all! PS I can't wait for the next one in this series! Rated 5 out of 5 by denniann2 from i really enjoyed this game you have had a phoenix enter your body and when you expose the flames on your arms it will defeat enemies. you use it to fight them off throughout the game. you are trying to save the valley from the "darkness" that will doom everyone. it is set up for a sequel so this will continue!!!! Rated 5 out of 5 by Ashleaves from This game is EXCELLENT Loved this game. 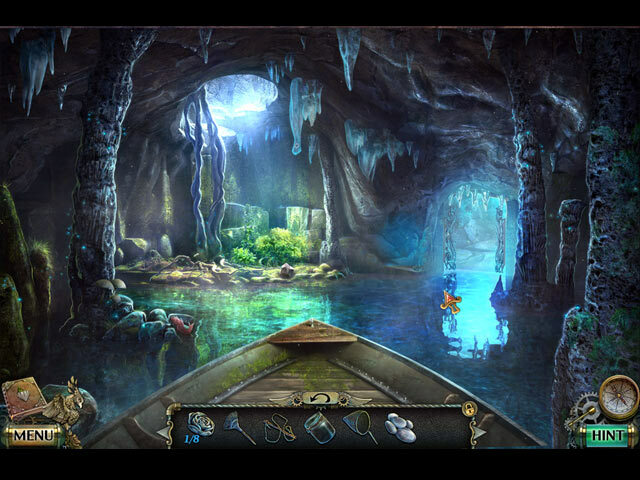 The hidden object scenes are all seek and use, which are my favorite. I always hate having to look for stuff you aren't actually going to use. Story-line was awesome. You are a girl who has come into a new power. This power continually saves you from harm. You have to find your uncle and defeat the building of a dark castle. Great game. Can't wait for another one! Rated 5 out of 5 by kirragirl from Fun Game Graphics were great. Not terribly hard, but super fun. Great storyline. Really loved it! A magical egg is about to turn one girl's world upside-down.